One of Best Chiang Mai's Guest House ... Perfect guesthouse for our trip in Chiang Mai. 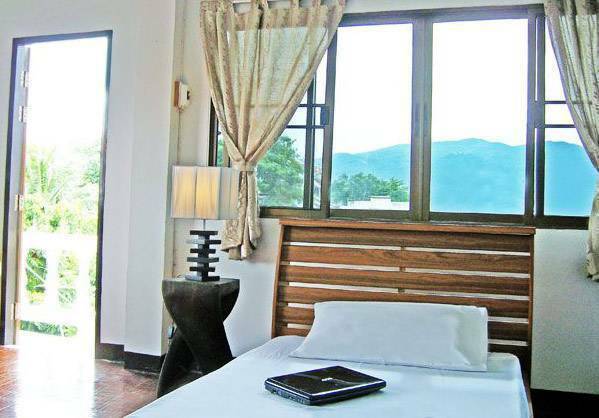 Beautiful Thai modern-style Chiang Mai guest house, each one with a view overlooking Doi-Suthep Mountain of Chiang Mai from your own balcony. Located at the center of Chiang Mai , just 2 mins to Night Bazaar, 3 Mins to sunday market at Tapae Gate, 9 mins to Chiang Mai airport. 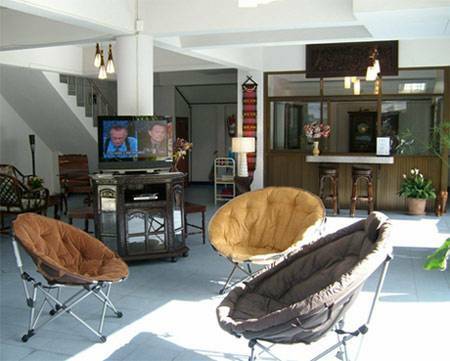 The guesthouse is near enough to the nightlife and interesting sites, but far enough away to not be noisy. All our rooms are charmingly furnished and equipped with cable TV, air-con or fan, hot and cold shower in private bathroom and fridge (for twin rooms). Best leisure time at Bed and Terrace, feel warm and unique culture of Chiang Mai, shop northern handicrafts products at Night Bazaar, relax at local spa, Tom Yum Koong cooking schools to Hill tribes Trekking – whether your temptations of holiday dream is, find it some places near Bed and Terrace. Bed and Terrace has 5 floors and small amount of rooms to give you relaxing and cozy atmosphere. 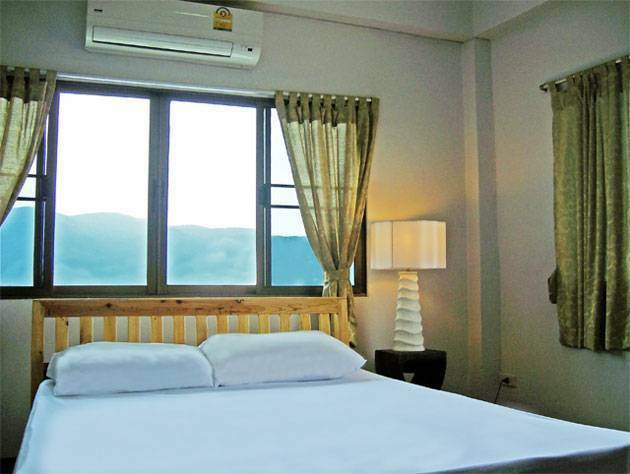 All rooms have terrace for see mountain or city view. TV + 60 Cable Ch. Bed and Terrace guesthouse is in center of city. 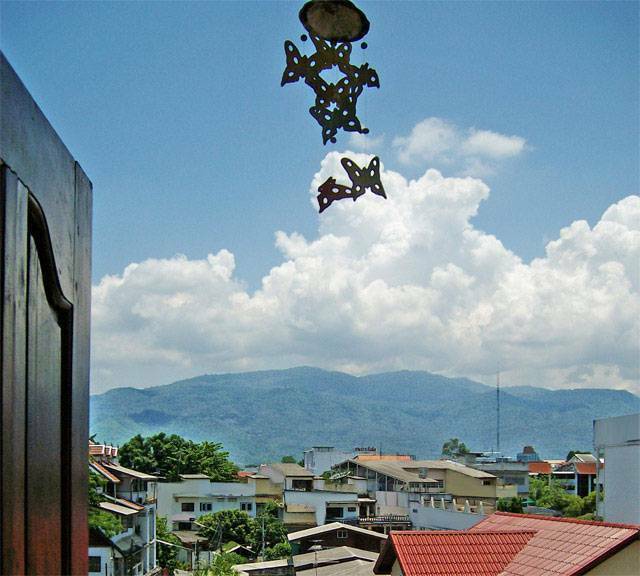 One of most peaceful and beautiful area of Chiang Mai. 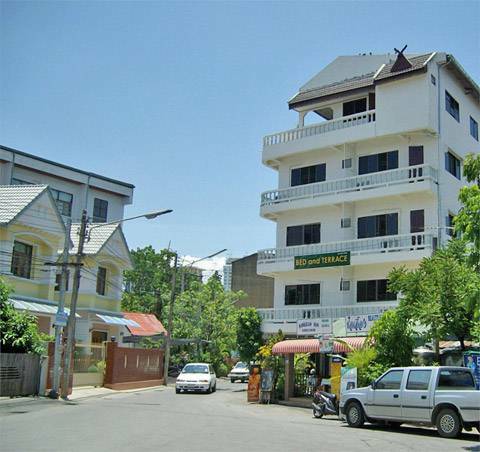 Guesthouse close to coffee shop, beauty shop, local grocery store and delicious Thai restaurant. For weekly or monthly stay. - For cancellation, please inform us 3 days before check-in date. 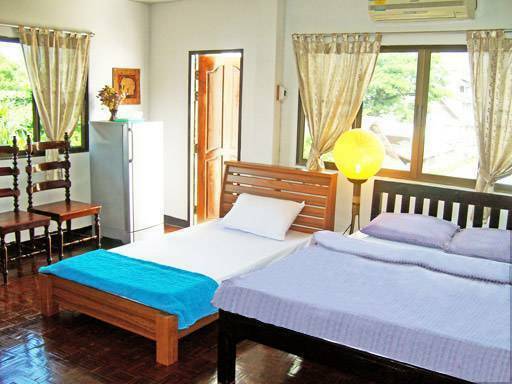 There're many ways to access this guesthouse, guest can access from Khotchasarn 5 or Sidonchai 1 or Loikhro 2 in a minute. Taxi and local bus service.